The contemporary Christians have but one disease: phobia for the truth. They are okay with the routine church activities and regular attendance. They have no problem with the noisy and fallacious messages of blessings and prosperity, even when they don't see the effect of it in their lives. The myriads of false prophecies that constantly come and go without manifestation do not create any impression on them. As long as they are not told that there is a cross to bear, persecution to encounter, tribulation to face and hatred to suffer, they are okay. You dare not tell them the truth; for the truth tears down to build up and kills to keep alive. With this trend still going on in the body of Christ, it ache my heart when I realize that it is only the truth that, when known, accepted and lived, can set free. READ ALSO: Hell Revelation; The Condition Of Today Church. 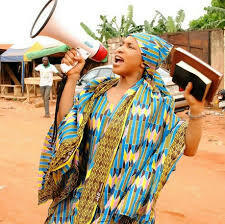 The modern preacher, are 'smart' and 'civilized' as he is expected to be, does not want to be left out. He has to develop a pattern of communicating his messages which does not depict him as an obsolete preacher. The idea is a soft-spoken and an 'offense-less' means of communication. For instance, our preachers are very scrupulous not to speak in public against any false cult, especially if it’s a popular one. They don't want to be seen intolerant. They refuse to talk against the destructive evils of modern civilization because of the fear of being termed religious bigots and narrow minded extremists. They hated to preach against masturbation, fornication, adultery, prostitution, abortion, lesbianism, homosexuality, cultism, theft, kidnapping, ritual killings and assassination. Likewise also drunkenness, cheating, fighting and quarreling, taking and giving bribe, alcoholism, divorcee, unforgiveness, lying, polygamous marriage, smokers and gossipers. Most of them refuse to emphasize about danger involved in malice, hatred, obsession with worldly fashions, dressing in transparent clothes, jewelries, nails fixing and painting, body bleaching, mini and tightly skirts, women trouser, exposing of breast or cleavage and lapse for seduction, Idolatry, atheism, egotism and all manners of sins. The bible says, but the fearful, and unbelieving, and the abominable, and murderers, and whoremongers, and sorcerers, and idolaters, and all lairs shall have their part in the lake which burneth with fire and brimstone; which is the second death" (Revelation 21:8). 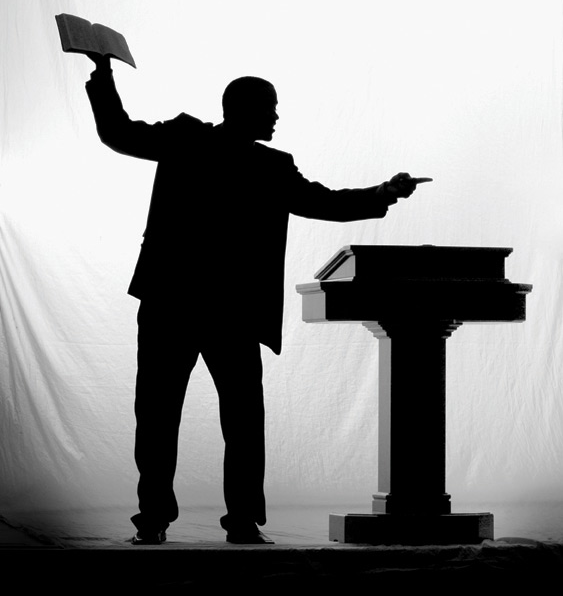 Our preachers dare not say anything that stirs anger of the godless sons of this world. They just can't see themselves opposing sins and their practitioners. It would reduce their crowd and converts since they gather them through amusement and distortion of God's word. They hide from their vulnerable followers, the full implication of the true Christian message. These projects they execute in cognizance with the Ballyhoo methods of American business, turning Christianity into another religion that the world has little or no respect for. The effect of this pathetic perversion is there for every one of us to see. READ ALSO: Pastor Banned Member From Giving Offering. We have drifted off very far from the Way. On a pace as swift as a piece of stone thrown out into a turbulent sea in a desperate attempt to salvage a storm tossed ship, we are sinking deep into an uncertain horizon of tolerance. Like western swallows at sundown, we have been forced off the hard earth into a religious cloud where we are permitted to wing our way harmlessly (even when dangers wait everywhere), without direction or control. I think what we should be saying now are the same words that, William Wordsworth, an English poet, once said: "Elijah, thou shouldest be living at this hour. Christianity has a great need of thee." Truly, we stand in desperate need of men like the prophet Elijah. Men who would stand for the truth, no matter whose goose is risen. Resolute men of God who will dare to face up to the shameless sinners who dictate our every way of life, in the body of Christ and in the society alike. Sin in the full proportion of a revolution or a plague has all but destroyed our most valued principles while the church people are playing like children in the marketplace. What has happened to the brave, resolute and active spirit of the apostolic age? Has our gold gone so dim that even a novice can decipher it to be fake? Have we gone so far in harlotry that we can no longer recognize the voice of the Groom? READ ALSO: How To Preach The Gospel. Have we so lost the spirit of discernment that we can no longer differentiate between the subtle luring of our captor and the crying voice of our Savior? To you that have been privileged to know and live the truth, are you preaching it to your neighbor or you have decided to run and hide in caves while Jezebel and the prophets of Baal continue to pollute the temple and ravage our land? 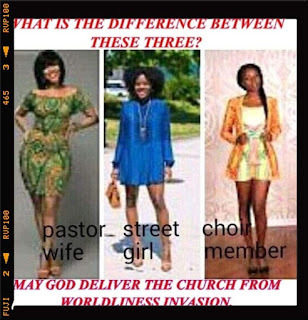 Are you still waiting to be named a pastor before can stood and preach against the perversion of this age? Surely, we need to give this deep and sober thoughts and prayers. We must take proactive measures now, before it becomes too late- if indeed it is not too late already. 0 Response to "False Deceptive Preachers In The Church"